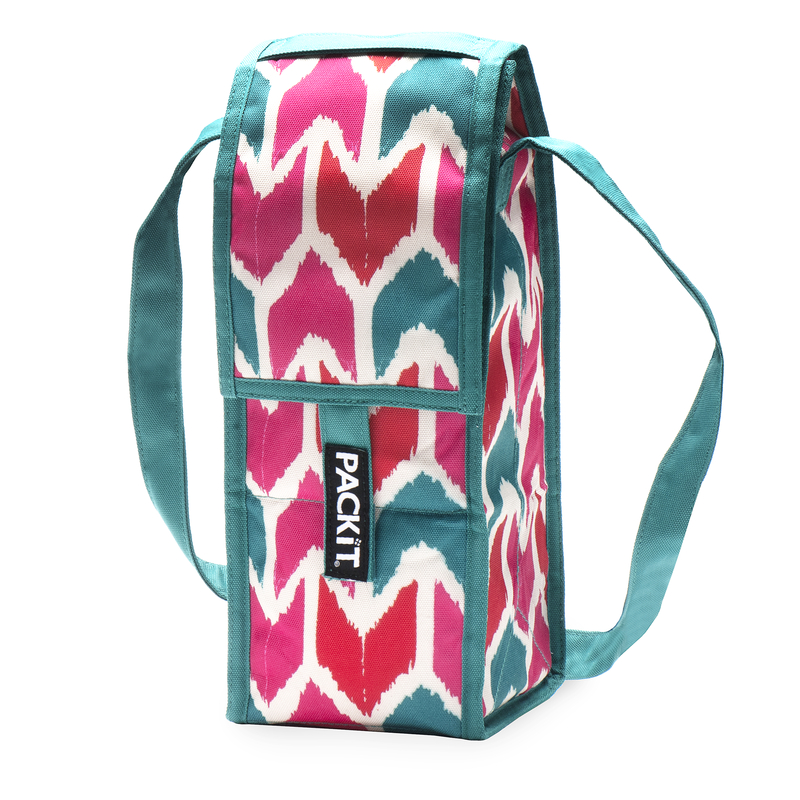 Chill wine on the go with the PackIt freezable wine bag. 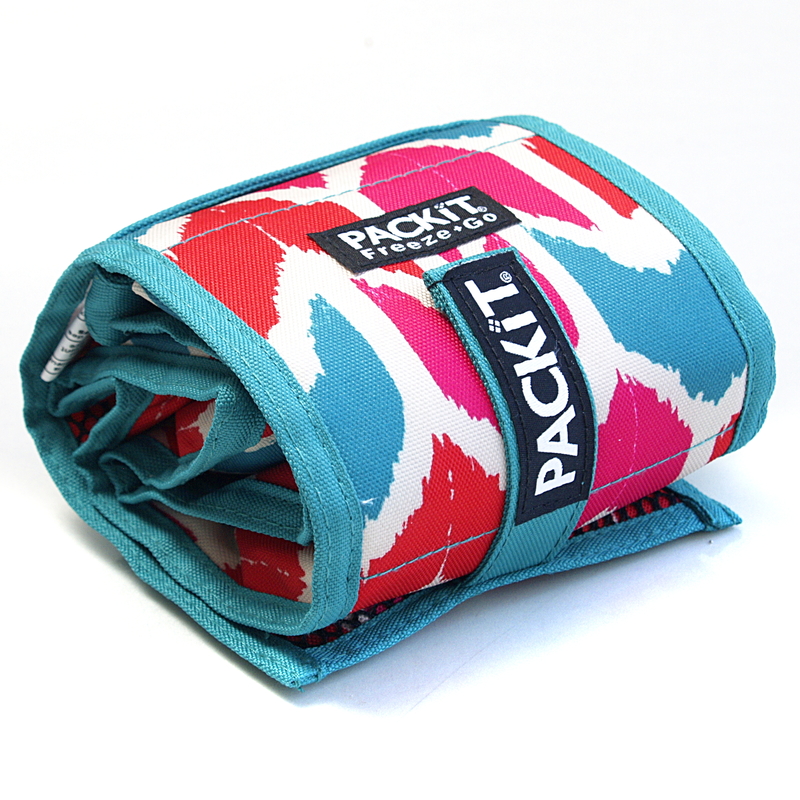 As seen on television, PackIt is the first freezable personal cooler that keeps anything you pack colder for longer. Featuring a PVC-free Ikat print exterior, it has a patented eco-gel lining that keeps food cold for up to 10 hours and eliminates the need for ice or those bulky gel packs. With a convenient carrying strap, this eco-friendly bag can go anywhere, including sporting events, school, work, the beach, camping, on a plane, and more. Non-toxic and reusable, it can also be used to carry food, bottled water, baby bottles, makeup, and any other items that you'd like to chill.